The Islander Inn, an Ocean Isle Beach hotel is located on a stretch of islands known as the Brunswick Islands. The Brunswick Islands featured miles of beautiful beaches and pristine waters. The Islander Inn, is located in Ocean Isle Beach, NC and is quaintly nestled on the West end of the island. Ocean Isle Beach is family friendly, clean and provides an all around fantastic time for visitors and locals alike. Year round, visitors flock to the island for fishing, surfing and relaxing while enjoying this paradise. The Islander Inn features oceanfront rooms, with stunning views of the Atlantic Ocean! Want to go for a swim in the pool and still hear the ocean? We’ve got an oceanfront pool along with a tiki bar that keeps you refreshed, but also gives that island feel. We’ve included a deluxe complimentary breakfast, so grab that waffle and head out to the beach to enjoy your sunrise breakfast! If you want to get your workout in, we have a gym to help you keep your fitness goals while on vacation! The Islander Inn is proud to be located on such a beautiful beach, while sharing that beauty with its guests! We welcome you to Ocean Isle Beach and we hope you enjoy your stay with us! 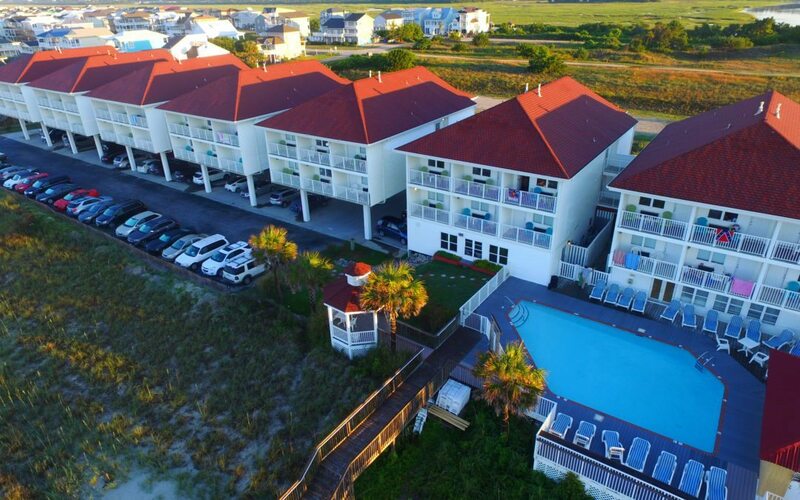 Call us at 188.325.4753 or book a room with us to experience what is Ocean Isle Beach, NC!